Dr Ricko Jaya and his team through the forests of Indonesia, and reflect on how we relate with animals in our world. In our Species Profile, learn more fascinating facts about this astonishing ape. 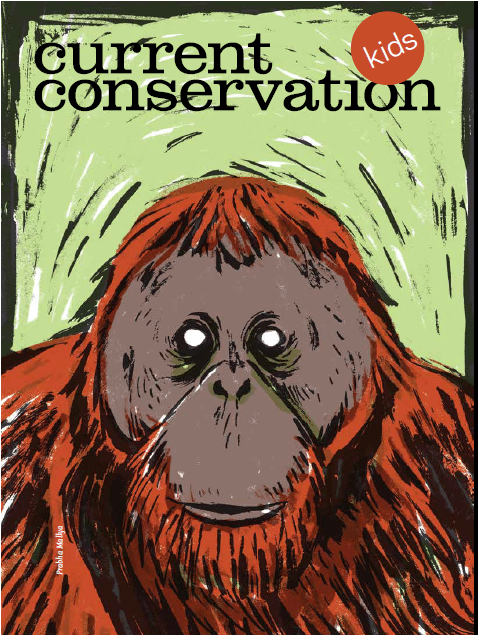 Did you know orangutans can live to 45 years old in the wild, use tools and love honey? Finally, hear about a recent workshop at Vidya Vihar School in Odisha, India, in which the pupils expressed their own connections with nature through their artistic creativity. While some painted a house with the flowers of the forest, others built a tree house in the heart of the jungle – new meanings to living with nature. How does nature come into your life at home?